Score Card Bonus Points: Every time you use your Omaha FCU Platinum Preferred Card, you’ll earn bonus points toward great merchandise with our ScoreCard Rewards program, like appliances and sports equipment or earn airline mileage. Concierge Service: Whether arranging a dinner, planning a golf outing or scoring tickets to a special event, these services and more are available through this special Concierge Service. Travel Accident Insurance: You and your family will automatically be covered with common carrier travel accident insurance every time you use your card to pay for your fare. 90-Day Product Protection: Protects your retail purchases for 90 days after the date of purchase against loss, theft, or breakage. Travel Reservation Service: Access a full service travel agency via a toll-free number. Plus you’ll also receive peace of mind with $1000 of Identity Theft Insurance and Identity Theft Victim Assistance. Get added security when you shop online with your Omaha FCU VISA®. Sign up for the free Verified by VISA® service. 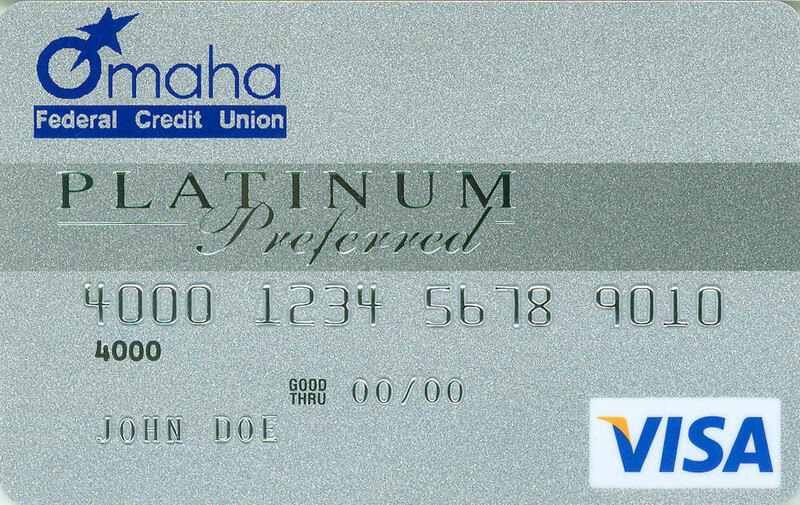 You can apply for this great new Platinum Preferred VISA® credit card in person at any of Omaha FCU’s four locations, by calling 402-399-9001, or through our Online Loan Applications. CHECK OUT OUR LOW COST CLASSIC VISA® CARD! NOW WITH A NEW LOWER RATE! 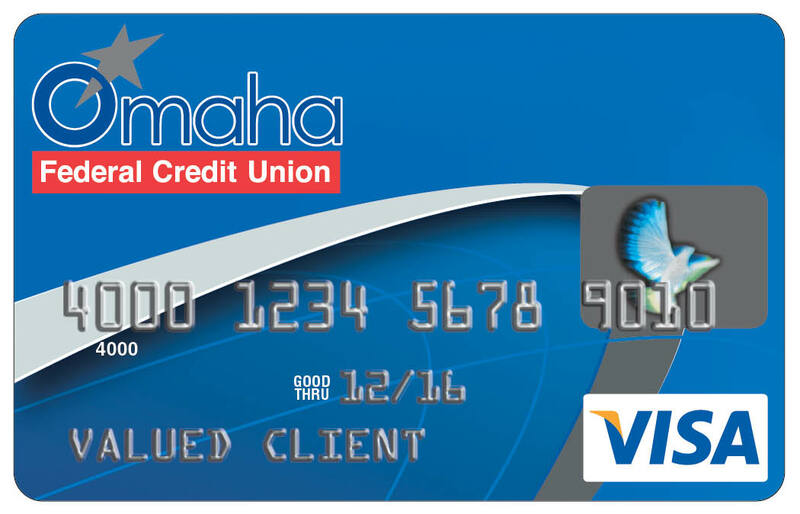 on the unpaid balance, Omaha FCU’s VISA® card is one of the best bargains in the business. Omaha FCU offers a low-interest VISA® card that can have limits up to $10,000. Cardholders are given a 25 day grace period during which they can pay off their balances, interest-free. Omaha FCU also offers a Regular Savings Secured VISA® Credit Card. Your credit limit is secured by money in your Regular Savings account. The interest rate is 11.8% APR. There is no annual fee and a 25-day grace period. There is no fee or higher rate for cash advances. Use your VISA® card at millions of locations. ATM access via the VISA® ATM network. Report lost or stolen cards with a single phone call to Omaha FCU’s credit card processor, Fidelity Card Services at 1-800-808-7230. If you have questions regarding your VISA® credit card balances or billing, call 1-800-808-7230. Check your account balance and pay your VISA® payment on line by using ezcardinfo.com. Credit Life and Disability Insurance are available.